Meet eight young storytellers, driven by their love for the arts and commitment to change in their communities. 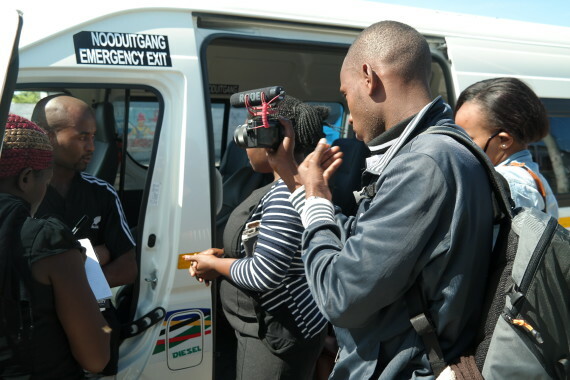 From 31 August – 5 September 2015 eight youth members of the National Slum Dwellers Federation of Uganda (NSDFU) and the South African Federation of the Urban and Rural Poor (FEDUP) came together in Cape Town to be trained in community-based videography and filmmaking. The youth members from Kampala’s NSDFU and Cape Town’s FEDUP are both affiliates of the Shack / Slum Dwellers International (SDI) network. 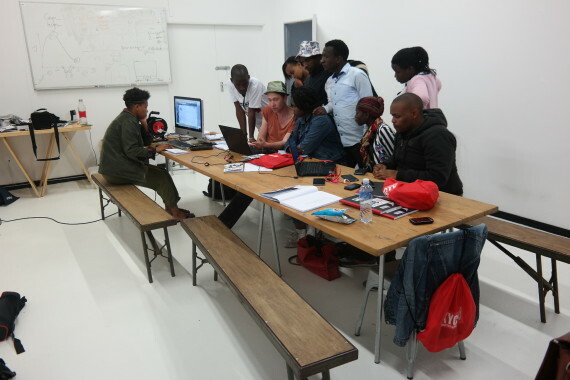 Preparing equipment for filming in Khayelitsha, Cape Town. The training formed part of SDI’s Know Your City (KYC) campaign on bottom-up and community generated data collection. As a global campaign, KYC seeks to collect and consolidate city-wide data in informal settlements as the basis for inclusive development between the urban poor and local governments. It draws its strength from data collected at the settlement level that is aggregated on a city-wide scale and used to make compelling arguments for more inclusive service delivery and informal settlement upgrading. Read more here. Know Your City TV (KYC TV), on the other hand, seeks to ground this data in personal and everyday experiences, recorded by young people who live in informal settlements, with a sharp and localized understanding of their surroundings and communities, with a ‘direct’ link to the stories themselves. 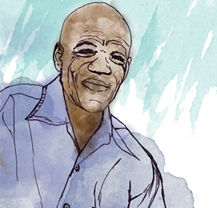 It is evident that data on informal settlements only becomes alive when voices, images and personal histories accompany it. The youth teams selected for the KYC TV training in Cape Town were drawn from two of SDI ‘s four learning centers: Cape Town and Kampala. KYC TV also grew from a previous Cape Town based youth exchange between SDI youth representatives from Uganda, Kenya, India and South Africa in February 2015. 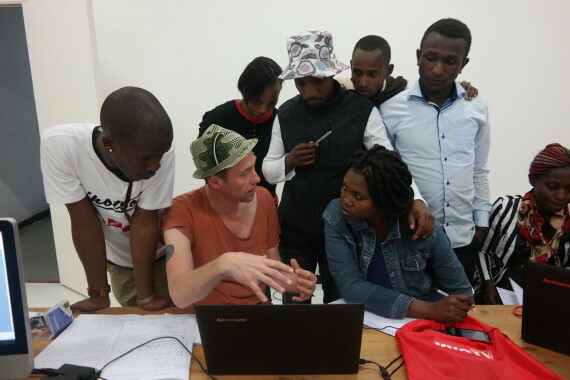 During this time youth members were exposed to community-generated video making, alongside James Tayler, filmmaker of the Bodaboda Thieves who facilitated the training during the recent KYC TV workshop week. Group picture after filming in Cape Town’s Company Gardens. On the first day of training, the group was tasked to find ideas that they could use for making a possible film – the first threads of weaving a story. 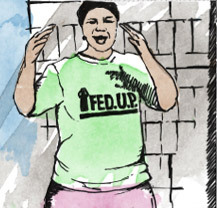 Zandile Nomnga, from South Africa’a FEDUP, shared an idea of documenting her youth group’s use of art, drama and dance to build up young people in her informal settlement in Khayelitsha. When the rest of the group had pitched their ideas, some practical camera introduction began. For some it was a first-time engagement with hands-on camera experience. 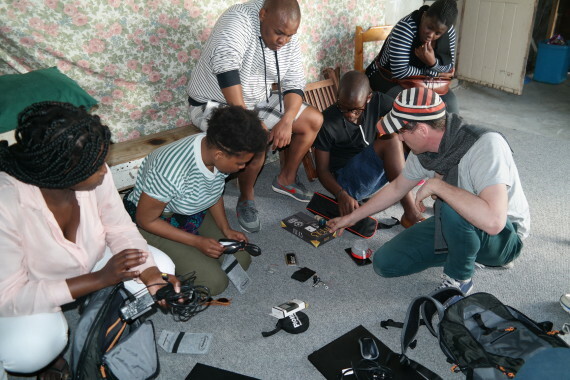 Day two was a fascinating excursion into all things technical: how a digital camera works, shot types and ratios, lighting tips, how to conduct interviews…. with the KYCTV ‘Pocket Film School’ booklet a constant reference point. A nearby park in Cape Town allowed for some first experimental footage. With a wealth of background knowledge, the next two days were ones of exploring Cape Town, in its vastly different areas, looking to capture variety and the city’s characteristically stark social and political contrasts. The first was spent in Cape Town’s City Centre: arriving at the central station, the group made its way through a number of central locations in Cape Town – always with a keen focus on light, texture, shapes and colour, a practice in finding snippets and scenes that would make good film footage. 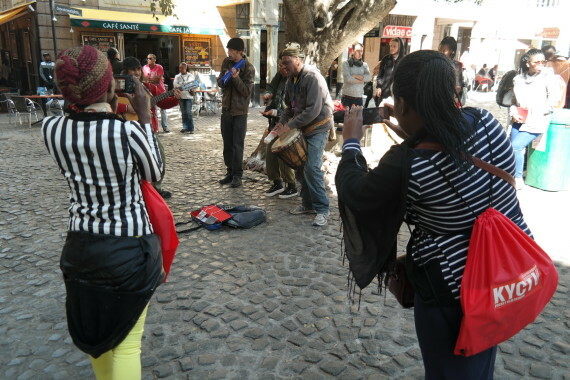 They carefully chose the Golden Acre and Green Market Square, having encountered a group of street performers playing soulful music. The group took turns filming the performance, with James instructing and coaching them about what angles are suitable and how to capture imagery of moving people. 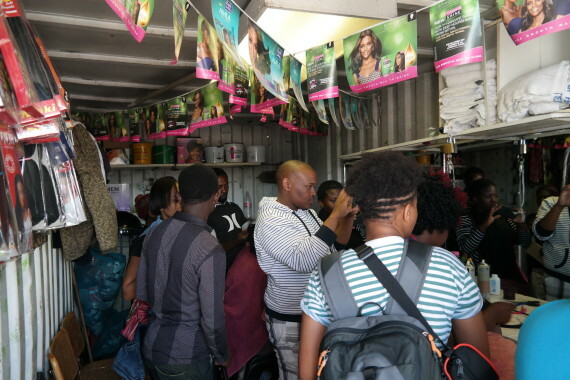 In the early hours of Thursday morning the group gathered its equipment and headed to Makhaza, located in Khayelitsha, on the outskirts of Cape Town’s inner city and suburbs, and, home to the South African youth members. Most of the morning was spent filming and interviewing the residents and business people (hair salon owners and minibus taxi drivers) about their daily activities within the area. In the afternoon the group moved to Site C, in Khayelitsha, documenting a crèche in the area, interviewing the owner about challenges and progress. 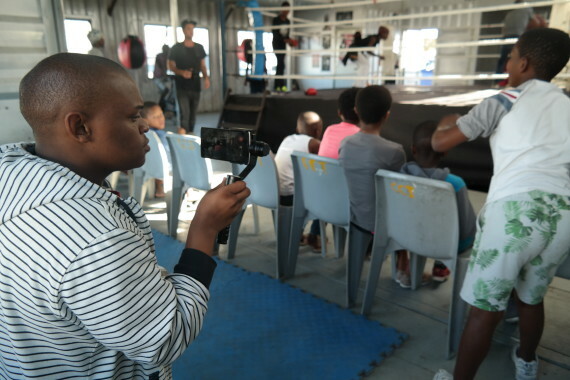 The day ended at Future Champs, a youth boxing and life skills centre – in Philippi East. The afternoon was filled with fun filming the boxing coach and interviews with the younger children to get a sense of why they chose boxing as a sport preference. While the group had been focused on filming and gathering footage for the previous part of the week, little did it occur to them that their work was far from over. Friday therefore started off with uploading all video footage onto the computer systems and reviewing it. An in-depth introduction to software and editing programs followed, with detailed explanations on how to edit, crop, animate and create audio on the software to familiarise themselves with the program and produce edited videos. The group spent the last day enjoying a burst of pre-summer heat at Cape Town’s sea-side – a time of reflection and realizing that their journey had only just begun. For Allan Mawejju from Uganda the trip to Khayelitsha was a highlight, especially learning how to deal with people during interviews. 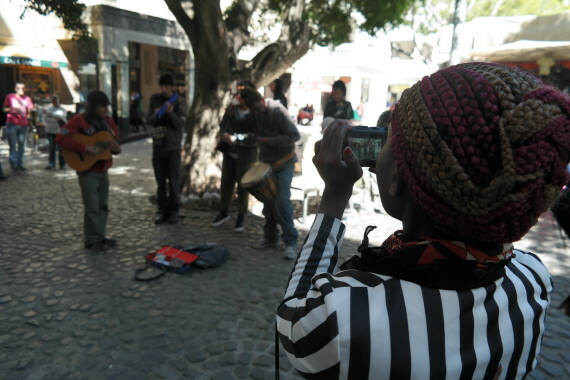 The highlight for Zandile Nomnga, who loves music and dance, was the opportunity to chance upon and film a soul music group at the busy Green Market Square. “With the knowledge we gained we will show our members back home how to document their daily activities and who knows this could also be a form of job creation where they would film what is going on in our countries and sell to a news network”. It was clear that the group was leaving with an array of skills that will assist them in forming KYC TV teams together with the continued support from James and SDI, through the Ugandan and South African support organisations, ACTogether and CORC. Many expressed the desire to share their learning with friends and fellow youth members who did not have the opportunity to attend. Some want to produce mini documentaries about their informal settlement and the activities that the youth do. The following weeks will be dedicated to consolidating the skills learnt during the training and produce the first mini documentaries.